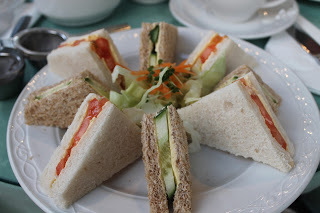 High Tea, Cupcakes and … A Call from Jesus? I hate them. So many beady eyes. We don’t have a national groundhog in London. We do have a lot of squirrels and pigeons. They’re quite friendly. 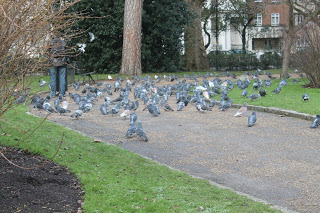 The pigeons are a bit too friendly because they often walk right up to me and stare at me with their beady eyes. Other people in my program have pictures petting squirrels, but because I’m not hoping to get rabies while I’m here, I think I’ll just look at them from a distance. Nonetheless, I hope spring does come early this year! This week in London wasn’t about tourist sites or cramming multiple activities into every day. This week was about the little moments that define life. The minute particulars, which this blog was founded on. After all, my life is here for the next few months and these little moments will define the person I am during my adventures and who I am when I leave. But first, the Jesus call. I don’t have the phone number for a “Jesus.” I don’t have Caller ID, so I’m not sure why the name showed up. I started panicking and showed my roommate Jessica to make sure that I wasn’t crazy. I answered the call and there was silence. It only ended because I hung up 45 seconds later. Then, the most disturbing part: when I went into my answered calls to check the phone number, it was empty. There was no record of the call! I was freaked out. I told all my friends in my program that Jesus had called me and spent the evening trying to interpret some otherworldly meaning from the phone call. Everyone who heard thought it was hilarious, but I couldn’t help buy wonder why Jesus was calling me if he didn’t have anything to say. A few days later, I asked my friend Bethany about it because she so kindly gave me her British cell phone to use while I’m here. It turns out this cheap 5 pound phone has a “prank call” setting that lets you prank call your own cell phone. Bethany, being the jokester that she is, had set it this past summer to make Jesus call her as a joke, but apparently no one fell for it when she did it. This week started off with another Monday at work, where I worked on more web stories and print articles. I’m settling into a TNT routine (including at least two cups of tea a day). 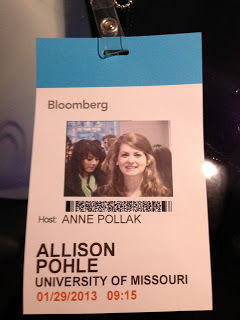 On Tuesday, we went to tour Bloomberg, which is owned by NYC’s own mayor Bloomberg. It’s set up kind of how I imagine Google would be with “thinking space” for employees, a TV room and a HUGE kitchen stocked with snacks, coffee machines and pop machines. We got to take food with us! Thank you Bloomberg for supplying my snacks for the week. Bloomberg has a great business model. Most of its profit comes from special computers that update stock information. These computers are sold to companies who track the information. Because of this source of income, Bloomberg has more freedom to take chances with its publications. It doesn’t really rely on ad revenue so its content is based on the company values. I also appreciate how Bloomberg takes care of its journalists by giving them food, thinking space and a lot of creative freedom. Then we got some bad news. Claire’s parents unexpectedly had to put down her 14-year-old Maltese, Flurry, because he had lung cancer. Anyone who has a lost a pet knows that it means losing a member of the family. Losing Flurry was made harder because Claire couldn’t be there with her family. Life happens, even while you’re in London. That’s why I believe God invented cupcakes. Cupcakes are my solution to every problem, so Jessica, Claire and I went to Hummingbird cupcakes to make sure that the day had something good in it. 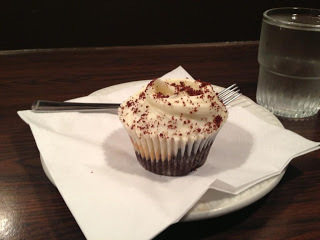 I got the “black bottom,” which is a marble and chocolate chip cupcake with cheesecake frosting. YUM! It was excellent. Wednesday was another day at TNT full of snarky web articles. I also learned that I wasn’t making my tea properly because I’m not putting enough milk in it. Brits put a ton of whole milk into their tea and no sugar. It looks like I need some more practice before I become a true Englishwoman. Wednesday night my roommates and I had the treat of going out to dinner with Jenny’s dad, who was in London for business. It was a food adventure, especially for me. I hate the idea of what I call “man meals,” which are what I classify as dinners of meat, potatoes and hardly any veggies. England is full of these by the way, but I digress. This was not a man meal, but it was one of the most exotic meals I’ve had in my life. Jenny’s dad ordered five “small plates” for appetizers. 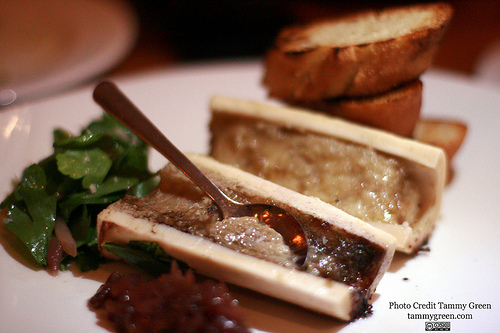 Among them were chicken liver and bone marrow (WHAT?!) Everyone tried a sample from each of the plates, so I did too. It was interesting to say the least, and I still don’t want to know what animal the bone marrow was from. For dinner I had pasta, which was really good. Then I had tiramisu and coffee for dessert. Excellent! I think I might’ve reached my chicken liver and bone marrow quota for my lifetime, but I am glad I went out of my comfort zone to try something new. 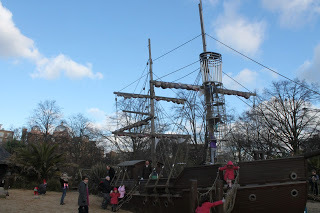 On Thursday we headed back to Greenwich. To change things up I visited the Queen’s house, which is full of nautical paintings of sailboats throughout England’s maritime history. I also stood in both hemispheres again! Afterwards I went to work, but it was on my way home that I experienced another minute particular. I was riding the tube and noticed a blind woman standing with a cane. She was in her early 60s and the tube was really crowded because it was rush hour. I felt bad that she was standing and no one was giving up his or her seat. At the next stop someone left and everyone in our area helped the woman to sit down. She was so appreciative. It made me really happy to be helping her, and it was one of those moments where you have a lot of faith in the inner goodness of people. After she sat down she kept saying, “I’m just as tired as anyone else, but it was nice of you to help me.” It made me feel really lucky to be in a position where I can experience life with all of my senses. Sometimes you just need those little reminders. 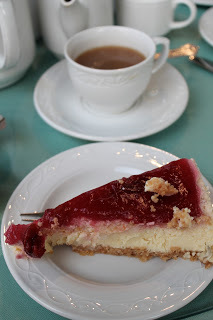 On Friday, I used my sense of taste to explore London. 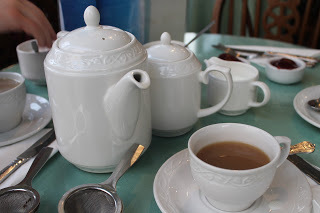 We went to tea at The Muffin Man, which was a small, but cute tearoom. The tea was excellent. 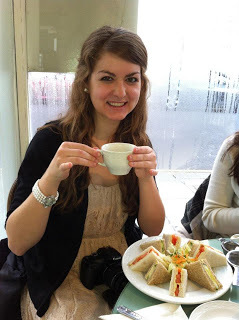 For less than $10 I got two cups of tea, cucumber and tomato sandwiches and a slice of cheesecake. Yum! I looked like a total tourist when I took pictures of everything because there were a lot of locals there. Afterwards we walked around Kensington High Street and stopped in a bookstore. I got a book written by a former Guardian columnist called “Londoners.” He interviewed the woman whose voice announces the tube stops, currency exchange booth attendants, bus drivers and hundreds of others about why they love living in London. I thought it would be a great thing to read while I’m here. I have a lot of downtime to do some reading and a journalist wrote it about the little things in the city that make it great. Right up my alley! I spent Thursday and Friday nights in local pubs talking to people from all over the world. It never ceases to amaze me that I always run into Americans when I’m in pubs. I have also confirmed once again that British people struggle in the dancing department because they move awkwardly. It might explain why 1D doesn’t dance much. 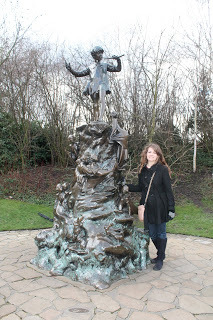 Today I went to Hyde Park to visit the Princess Diana memorial playground, which is Peter-Pan themed, and the Peter Pan statue. 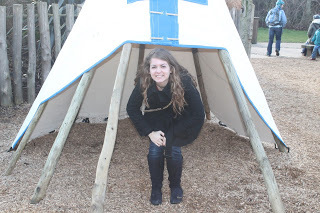 I shamelessly took pictures of myself with all of the playthings, rode on a tire swing and jumped on some bouncy logs. I was the oldest “kid” by about 15 years, but I had a blast! 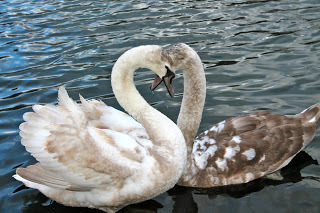 I also witnessed two swans fall meet and fall in love. ‘Twas swanderful!